Apple and BlackBerry take it to the street. The headline pretty much says it all: beleaguered smartphone maker Research In Motion has rebranded itself as BlackBerry, naming the company after it’s most popular product. 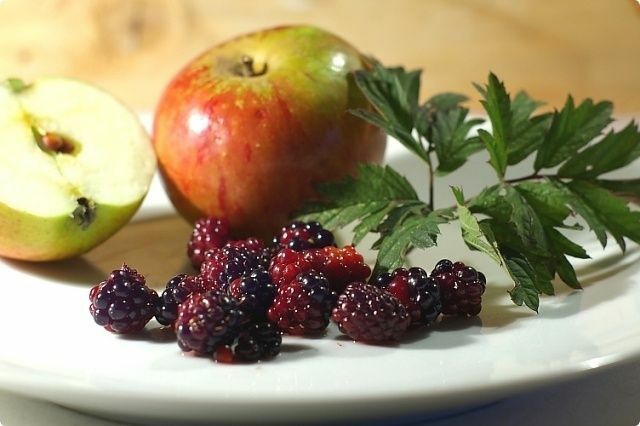 So now we have two fruit companies making smartphones: Apple and BlackBerry. And just like in the grocery aisle, one is going to sell by the droves, while the other will be largely rejected by shoppers at large until it collects mouldering funguses and is eventually thrown in the big dumpster behind the supermarket… I mean, gadget store. In addition to changing their name to BlackBerry ahead of the launch of the BlackBerry 10 operating system, RIM is changing its stock symbols to BBRY on NASDAQ and BB on TSX. On one hand, it’s natural that RIM would want to become as a company synonymous with its most iconic product. On the other hand, though, this really just spells it out, doesn’t it: if BlackBerry 10 doesn’t take off, BlackBerry the company is simply dead. It’s all in at this point. So will BlackBerry 10 take off? Early reviews are in, and they say ‘no’. Joshua Topolsky over at The Verge says he is “deeply disappointed” by the battery in the new BlackBerry Z10, and that it “doesn’t necessarily do anything better than any of its competition.” BGR says BlackBerry has just seemed to end up “making an iPhone, Android, and Windows Phone competitor that isn’t as good as any of them.” And so on. In other words, RIM changing their name to BlackBerry is like Apple changing the name of its company back in 1993 to the Newton, betting everything — even their corporate identity — on a product that just isn’t going to be a success. Shocker: Wall Street thinks so much of this strategy that the stock price of BlackBerry née RIM has shot down 7% as of writing.